The FLIR E75, E85, E95, and the entry-level E53 Advanced Thermal Imaging Cameras offer the superior resolution and range performance needed to quickly identify hot spots and discover potential points of failure in electrical distribution and mechanical systems. 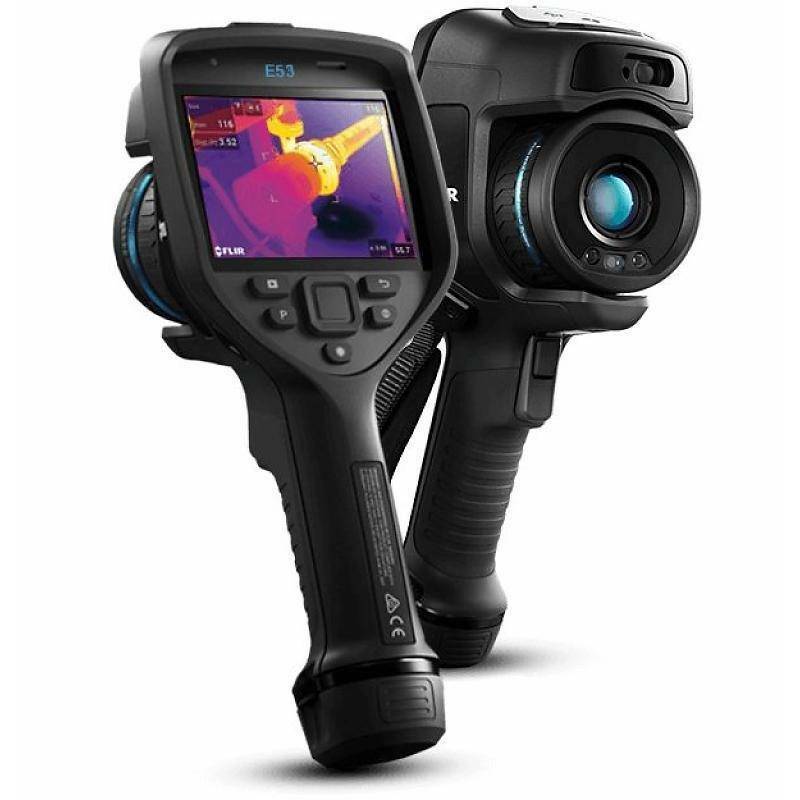 With up to 161,472 pixels resolution and a more vibrant LCD screen than any other pistol-grip camera, the Exx-Series makes it easier than ever to diagnose problems—even at a distance. Avoid costly shutdowns and lost production time through regular predictive maintenance routines with these rugged, intuitive cameras.